This entry was posted in Click here for Fabulous Food Posts and tagged choux pastry, Desserts, Frugal Hausfrau. Bookmark the permalink. You make it less intimidating, that’s for sure. 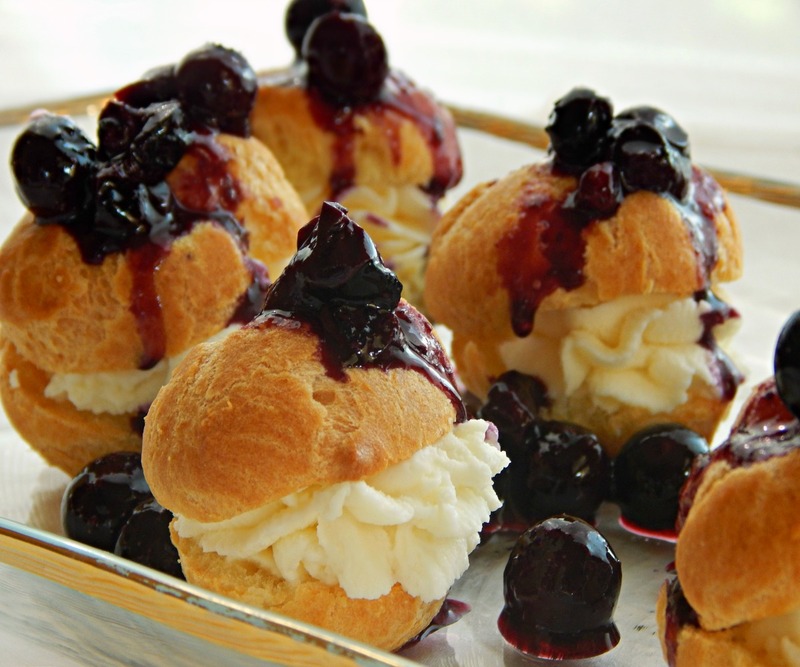 Pastry still makes me nervous, but your choux method looks delicious and easy. Mmmmmm good! Thanks! And I think Choux is such a cheat – it always seems intimidating until you try it and then a whole world opens up. As I posted this little menu I realize I need to make a lot more things with Choux. 🙂 Eclairs, for one!! I loved the churros I made with a chocolate sauce. Just wish I didn’t have to deep fry them. I agree. I’d have to make it worth my while though by frying a bunch of other things at the same time to get the most out of the oil but the possibilities … samosas, kibbeh, gulab jamun, corn dogs, fish tacos. Don’t know which to choose. Fried wontons … reminds me I haven’t made crab rangoon in ages. Or pot stickers/gyoza.